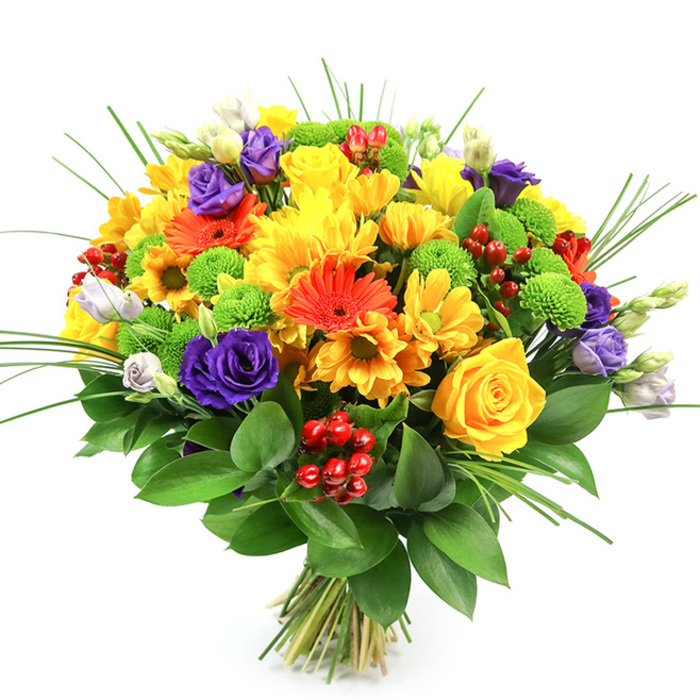 Invite the sunshine into your home with a radiant bouquet made of sunny yellow roses, green and yellow chrysanthemums, orange gerberas, white and purple lisianthus and red hypericum. 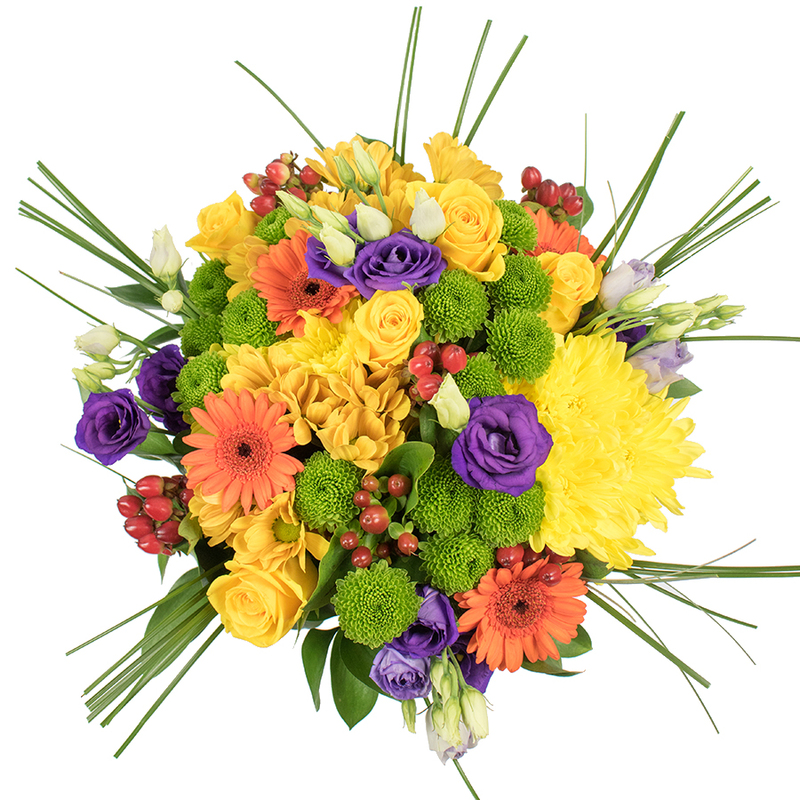 A floral combination in the brightest seasonal colours that will warm the heart of someone deeply cherished! The flowers were so beautiful and fresh. More importantly, they lasted for a long time which was very delightful. An elegant selection of flowers! They made my birthday party all the more special and they photograph very well. I will definitely be ordering them for all my events going forward. Can't beat the quality of the flowers, it really is superb, and everyone I've shown the bouquet to agrees. The perfect choice for a charming gift, I am very pleased with the delivery. The recipient was so surprised and happy with the bouquet. Spectacular flowers arranged by a great florist! The bouquet arrived 3 days ago and still looks great!! This was my first time ordering flowers online and I have to say the florist did a great job. Flowers looked amazing! I'm in love with this bouquet! The recipient was so excited and impressed, thanks a lot. It was a real pleasure to order the birthday flowers from your company.